Physician-scientist Donald R. Sullivan, M.D. F ’13, M.A., M.C.R., is a core investigator of health services research and development in the Center to Improve Veteran Involvement in Care, V.A. Portland Health Care System. He’s also assistant professor of medicine, and associate fellowship program director, Division of Pulmonary and Critical Care Medicine, OHSU School of Medicine. Before becoming a physician-scientist, he served as a combat medic in the U.S. Army for six years as a reservist, deploying to Germany. He left the Army as a sergeant. 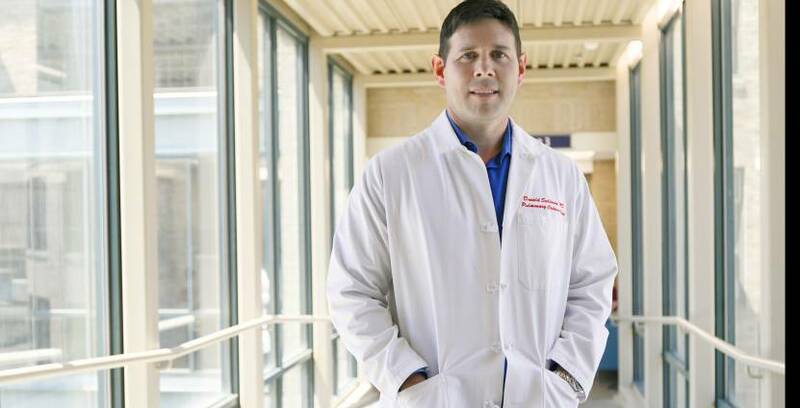 Sullivan and his research team recently published findings in Annals of the American Thoracic Society about the effects of palliative care on suicide risk of veterans with advanced stage lung cancer. 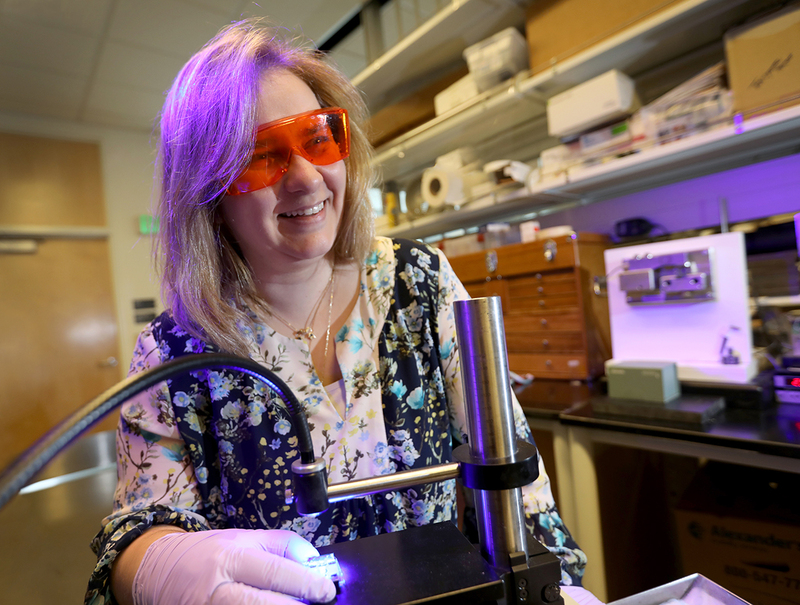 Read about the research on OHSU News. What’s your current research focus? The overall goal of my research program is to improve care among lung cancer patients. Specifically, I am interested in improving patient outcomes and their experiences through advances in the delivery of comprehensive cancer care. I have several research projects currently ongoing including examining palliative care use and outcomes, depression interventions in cancer patients and treatment decision analysis among early-stage lung cancer patients. Why did you become a physician-scientist? In my clinical work, there are so many unknowns and lack of evidence to help my patients, so by becoming a scientist I’m helping answer some of these questions hopefully. I also enjoy the challenges of research and the creativity I get to express, which are so different from my clinical work. Finally, in thinking about how I can help make the biggest impact in medicine, research has the greatest potential to change lives. Successfully applying for a K-award from the NIH. Also, my research was featured on the Think Out Loud radio program on OPB, where I was interviewed. Scary but exciting. Tell us about a time when your ability to think like a scientist led to a clinical outcome. As a scientist, I try to think about the big picture, particularly when starting a project and how this work will lead to a successful research program, collection of publications or future grant funding. This applies to my work as a clinician, especially among patients who present to the medical intensive care unit. Often physicians work in silos and care is fragmented. It’s my job to consolidate this care and think about this patient’s particular presentation, which may be a signal of a gradual decline or a worsening underlying illness. Perhaps it’s time to discuss care preferences and palliative options. What’s the most important support you’ve received as a physician-scientist or what support would you like to see? Without the support of my interim division chief, Dr. Jeff Gold and before him, Dr. David Jacoby, I would not be a physician-scientist today. Additionally, I enjoy the support of the Health Services Research and Development Center to Improve Veteran Engagement in Care at the Portland VA where I am an investigator. Without the tremendous support of my mentorship team, including Chris Slatore, Linda Ganzini, Patty carney, Lissi Hansen and Jodi Lapidus, I would not where I am today. What’s the most difficult challenge of being a physician-scientist? Achieving career and family balance. There are many night, weekend and after-hour activities that are important from a career perspective. Learning how to find a successful balance is a constant challenge. They are in a unique position to formulate and execute research questions based on their clinical experiences. Also by having direct contact with patients and their families, they are able to solicit patient input, which helps inform patient-centered research. Prioritizing clinical research that includes patients’ and their families’ voices will have the most meaningful impact over time. There needs to be more opportunities for medical students, residents and fellows to participate in research and gain experience working alongside successful research mentors. Likewise institutions and foundations need to contribute more money and efforts to encourage this kind of early career research training.